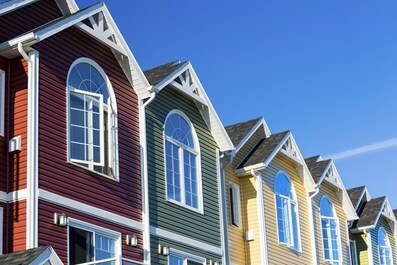 Energy Efficient Replacement offers South Bend, IN Premium Vinyl Siding. Are you looking for Vinyl Siding Replacement? Mastic Vinyl Siding can look as good as real wood shingles and shakes. Vinyl siding's popularity has grown significantly over the years, and it's easy to see why when you consider the benefits. We are South Bend, IN's siding contractor. For a vinyl siding price estimate, contact Energy Efficient Replacements by phone or Fill out our contact form. If you’re looking for an exterior home addition that adds both style and durability, there’s no better choice than vinyl siding from Energy Efficient Replacements. Since 2003, we’ve been the vinyl siding company of choice for customers in South Bend, IN —improving their homes’ weather resistance and curb appeal with our extensive selection of high-quality siding. When you need reliable service and vinyl siding built to withstand the Midwest climate, look no further than Energy Efficient Replacements! Get a Free Estimate for the Cost of Vinyl Siding in South Bend, IN. If you’re wondering about the benefits and cost of vinyl siding, don’t hesitate—give Energy Efficient Replacements a call today to discuss your home renovation project. To get started with a free consultation and cost estimate, stop by one of our showrooms or submit our online quote form now!